Welcome to 12 Orchard Hill Drive! 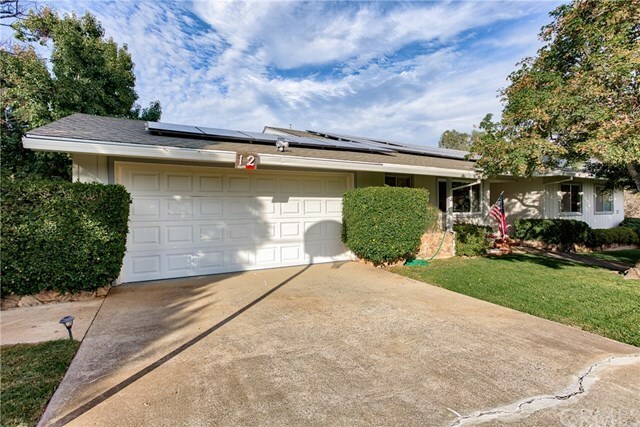 Extremely clean and very well maintained home located on a quiet cul-de-sac, in the east foothills. This 3 bedroom, 2.5 bath home needs to be on your list of must-sees. The kitchen has been remodeled with new countertops, appliances, large pantry and pullouts. Newer carpet and flooring in the living and dining rooms. Also, plenty of parking for all of your toys with an attached 2 car garage, plus separate access to the 1100 square foot shop that features two points of entry, tons of storage and 220v. Enjoy the fully fenced yard year round with a cover back patio perfect for entertaining. The home and shop are powered by solar panels leased from Vision Solar. Home also features South Feather Water, sprinkler system, two water heaters, central heat and air, plus evaporative system making for a very cost-effective and efficient system. Call us today to see this beautiful home! Directions: Take La Mirada Ave to Orchard Hill, home is on the left.